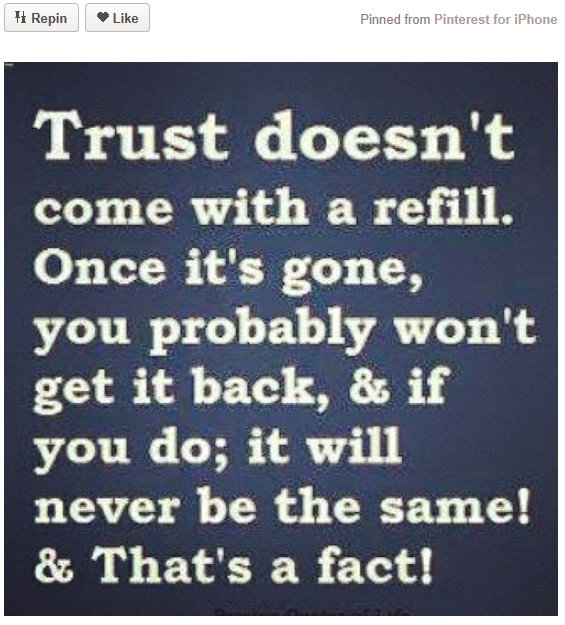 Trust doesn’t come with a refill. Once it’s gone, you probably won’t get it back. If you do, it will never be the same. That’s a fact! No, wait. It still sounds like crap. Improving the punctuation and sentence structure can only go so far to cover up crappy contrivances.